I need to add content to all of the individual pages and there has to be an easier way. I am not sure I understand correctly, but let me try to answer. 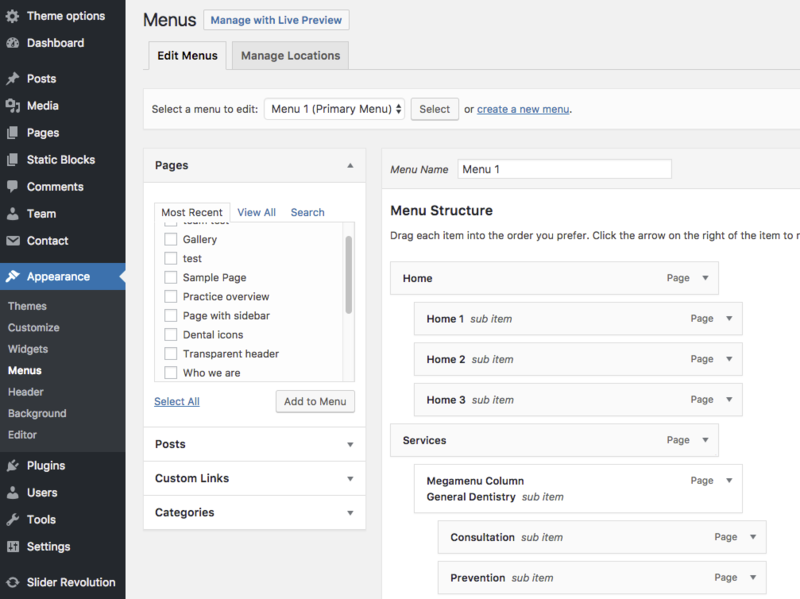 After you log in to your WordPress, you can edit the menu links in Appearance -> menus. If you have multiple menus, make sure you are editing the primary menu. Here you can remove any existing page or link a new page, you've created. However the link you've sent http://hearherefl.com/hearing-service/hearing-testing-evaluation/ seems pretty odd. How was this content generated? Was it imported from somewhere, was it build with a different theme? Please explain the issue a bit more in detail, so we can help you resolve it. If you give us admin username and password, we can take a look at this. Please send it in a Private ticket not Public.